Original green cloth heavily decorated in black and lettered in gilt. 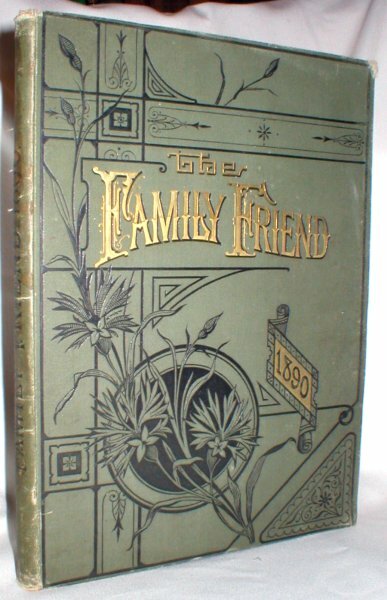 Apparently a periodical issued monthly, but this volume without mastheads or single issue dates is adjudged to be a "yearly volume" for 1890 (Numbers 241 through 252). Stories, songs, and lovely engravings. Minor corner wear, repaired tear at foot of backstrip, and one strained gutter glued. 188 pp with index, plus ads..